Volcano rocks form at divergent boundaries, during an explosive volcanic eruptions and during quiet eruptions when lava flows out of a volcano vent onto the flanks of a volcano. Pillow basalt forms on ocean floors where magma forms as tectonic plates separate. 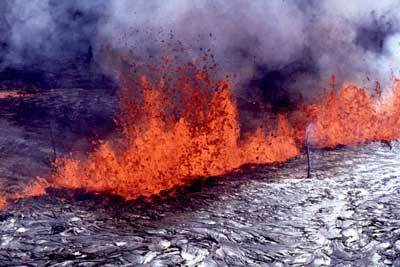 The magma (molten rock) flows out of the volcano vent and creates pillow like structures on the ocean floors. Pillow basalt covers all the ocean floors on our planet. Explosive volcanic eruptions form when gases create enough pressure to force magma out of a volcano vent into the air with explosive force. 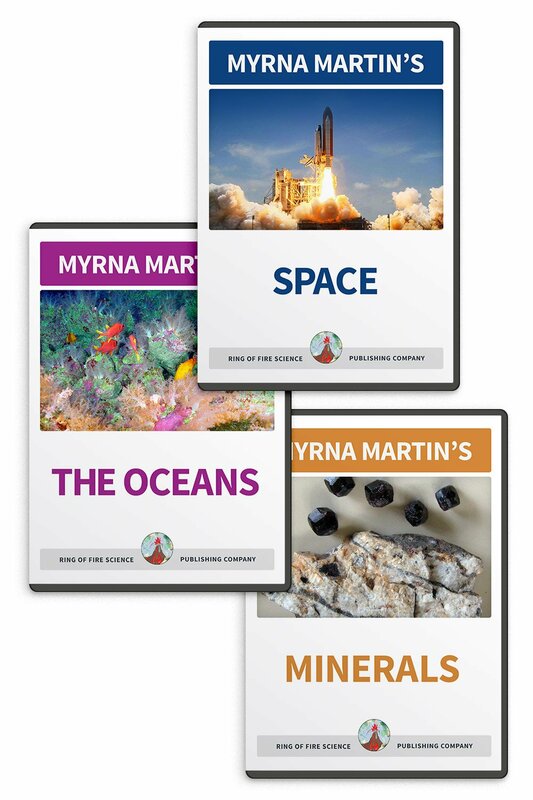 Ash, lapilli, lava bombs and lava blocks all are products of explosive eruptions. 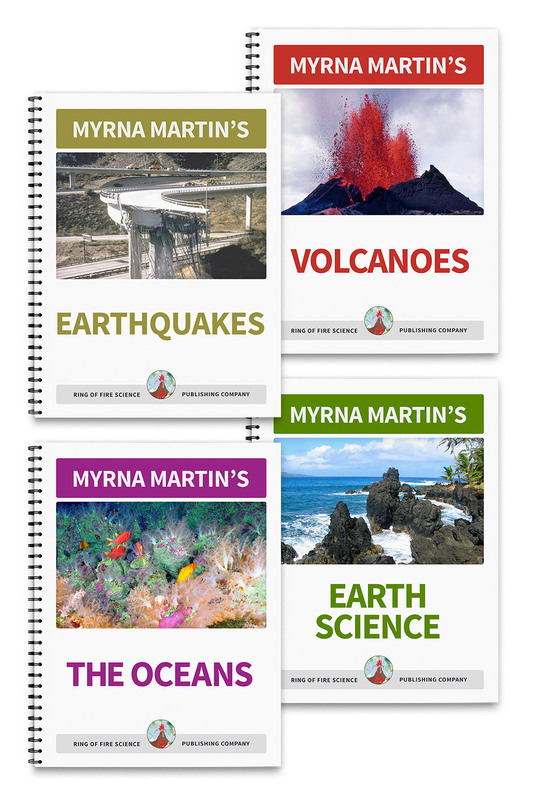 Shield volcanoes often produce volcano rocks that flow out of a volcano vent creating a lava flow. When the molten rock cools it forms aa lava and pahoehoe lava, which are two types of basalt. Pahoehoe lava flows will often create lava tubes that carry the molten rock down the flanks of the volcano before it cools into solid rock. Pumice forms during explosive volcanic eruptions of rhyolite and dacite lavas. 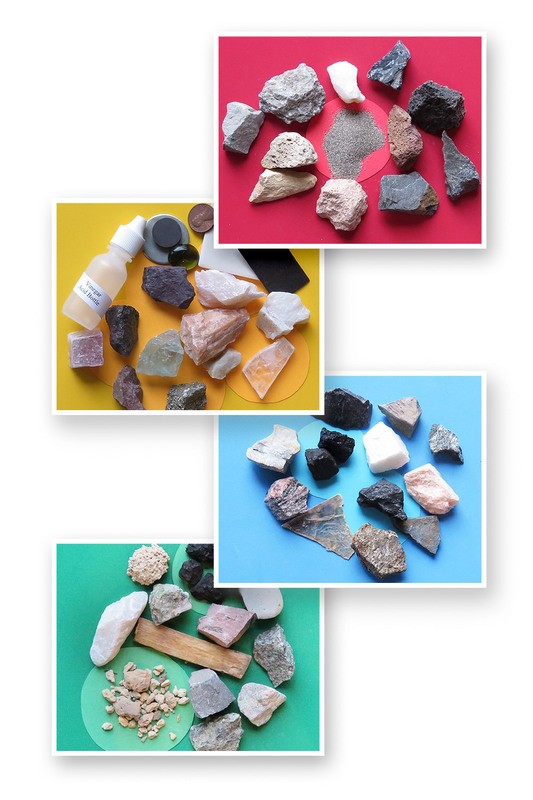 Pumice contains a high percentage of quartz and feldspar minerals. This traps gases as the magma moves upward near the volcano’s vent. The expanding gases force the lava out of the vent in an explosive eruption. The gases remain trapped in the pumice and the rocks can often float on water before they become water logged and sink. Pumice is the only rock that floats because of the high percentage of trapped gases and the quartz that are relatively light. 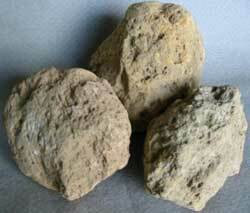 Pumice is also a glassy rock because it does not have time to crystallize before it cools. 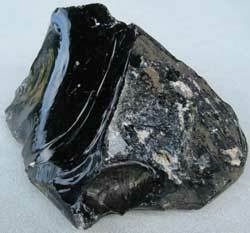 Obsidian is also created from rhyolite and dacite lavas. Obsidian flows out of a volcano vent as a thick pasty flow that does not crystallize. Geologists at first thought the lava did not have time to crystallize before it became solid rock. The Big Obsidian Flow on Mount Newberry in Oregon is an example of a rhyolite that flowed out of a vent and formed glassy obsidian instead of crystallizing. Obsidian lava is almost clear. 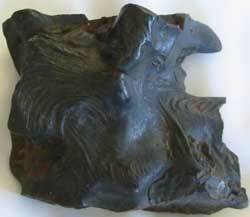 It is colored by minute amounts of impurities that gives obsidian as many as twenty-seven different colors. Black obsidian is colored with minute amounts of magnetite. Brown obsidian is colored with minute amount of hematite. Basalt forms in the upper mantle where the crust thins and magma (molten rock) collects in magma chambers. Basalt contains iron-rich minerals that give it a dark color. The Hawaiian Islands formed over a hot spot in the middle of the Pacific Plate. All the Hawaiian Islands formed when thin layers of basalt flowed out of a fissure on the side of the volcanoes or at a vent on their summits. Basalt lava contains between 45% and 54 % quartz. When it flows out of a vent and is extremely hot it forms pahoehoe lava. As the lava flow cools it can begin form an aa lava flow that travels down the mountain very slowly. Pahoehoe lava forms lava tubes and can travel down the side of a volcano like a river of molten rock.